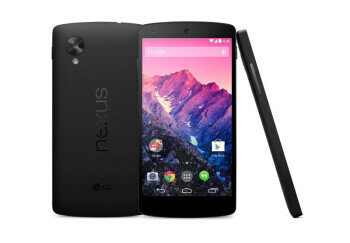 Rumored for months and discussed in many blogs, Nexus 5 has finally come under the spotlight. The smartphone, designed by Google and made by LG, has arrived with the latest Android 4.4 KitKat. The Google Nexus 5 will be available from tomorrow on Play Store. Google announced the smartphone today with an LG logo on it to show who manufactured it. The smartphone is very similar in specs to LG G2. Google’s Nexus 5 has a Snapdragon 800 processor clocked at 2.3 GHz. and a staggering 2 GB of RAM to go along with it. A 5 inch 1080p screen with minimal bezel makes it feel much bigger. The LG Nexus 5 is only 8.59mm thick and weighs just 130g and sports a 2300 mAh. Most important of all, its has LTE.